What each garage door needs is good services. There might be differences among them in terms of their size, material, and application, but they must all operate with safety. And that’s the ultimate goal of our Baytown garage door service provider. These important electric systems are designed to enhance the property’s security and offer absolute convenience to the users. Some are also tested to resist fierce winds and some are insulated. But they all ought to operate with safety. If their parts are worn and not capable of carrying the door or the door itself is poorly maintained or incorrectly installed, problems begin. And the job of our Garage Door Repair Baytown is to see that each and every service is done correctly. For your safety! We provide commercial, industrial, and residential garage door service and help everyone in the Baytown area in Texas. Since each door type and opener model has different features and technical characteristics, our techs are strictly trained and continuously updated. So every time we service your door, we utilize our experience but also the most innovative equipment to make sure the garage door is properly fixed, maintained and installed. Garage door repair as fast as possible. Misaligned overhead door tracks? Damaged sensors? Jammed door? Broken springs? We respond the same day to fix all urgent problems fast. And such urgent repair services would include the adjustment of the door and the replacement of the broken parts. 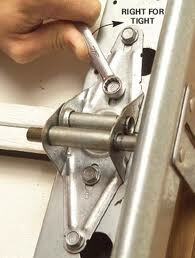 Garage door maintenance to prevent any issue caused by worn parts. With the components checked regularly and the door fully inspected and lubricated, problems are eliminated. We also check the reverse system and the travel limit of the door and make sure its movement is right and the door closes well. Do you want to prevent problems by replacing the springs before they break? Do you want an estimate for a new door? Whatever you need for your home, commercial, and industrial door, come to us. And call us now if you need garage door service in Baytown, TX.